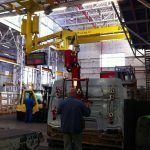 Dalmec lifting arms equipped with gripping devices for the handling of of various parts of industrial vehicles. 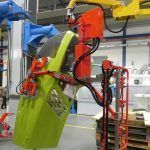 Dalmec Industrial Manipulators is specialized in handling loads of all sizes and materials with a weight from 5 Kg to 900 Kg. 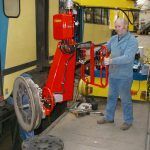 Manipulator Partner type equipped with jaws gripping unit for the handling of axles for industrial vehicles. 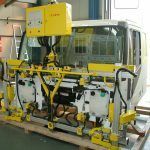 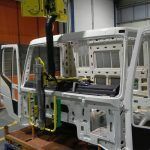 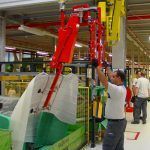 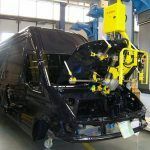 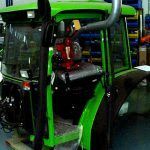 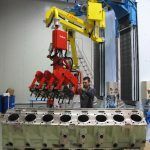 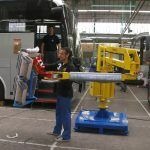 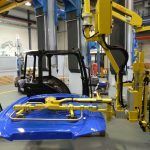 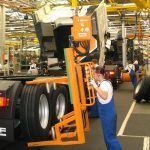 Dalmec lifting arms – manipulator for the car-motorcycle industry are custom-built, with specially adapted design, dimensions and picking systems to suit the specific requirements of the users and the various environmental conditions available.